Dhoot Driving School in Catford, London is the best driving training institute for LGV/ HGV training, PCV training, driver CPC training. If you favor and enjoy driving, you'll likewise take it up professionally and earn money. However, driving professionally is not an easy task and you've got need to bear knowledgeable driving training from a reputed institute. If you are undecided regarding that driving institute to affix, the foremost effective choice you've got throughout this regard is that the Dhoot Driving School in Catford, London. The LGV/ HGV training: typically this can be often meant for the drivers prefer to drive the massive vehicle. If you plan to make a career throughout this category, you will be an area of this training below several sub categories like C1 – license, C1 + E license, C1 + E – 7.5t + trailer, C- upto 32 tons and C + E truck and trailer. The categorization depends on the load specifications of the vehicles that you simply would love to drive. Next comes the PCV training: Such an academic program is meant for the human carrying vehicles. The problem that decides on the category of the training is that the variability of passengers on board of the vehicle. Variety of the categories throughout this type of training embrace the D1, D1 + E minibus &amp; trailer, D automatic bus, D manual coach, D + E coach & trailer. After all, these training schedules are meant for the articulated vehicles and in addition the operated by hand vehicles. And finally there is the driver CPC training: It’s presently thought of as a necessary demand for the professionals additionally with the HGV/LGV training certifications. 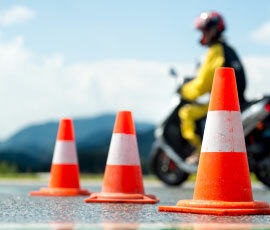 The driver CPC stands for the certification of the professional competence. You’ll in any case select from the various driver CPC modules and additionally the CPC case studies. There are sure modules which are able to assist you in passing the initial qualification with the help of the driver CPC module 4 and 2. The CPC was brought within the year 2008 for bus and coach drivers and in 2009 for lorry drivers. New drivers can drive for a living had to start taking the driver CPC initial qualification from then. Existing drivers got ‘acquired rights’ that took their previous experience into account. This meant they ought to not take the initial qualification but had 5 years throughout that to complete their first block of 35 hours periodic training. B+E automobile and trailer training: It is a special type of training program that is indented for the towing a vehicles with the help of small car. There are2 kinds of license, the B license and additionally the B+E license. The deciding deems of this regard is that the foremost approved mass of the vehicle. If the MAM is between the boundaries, you want the B license and if it's on the way aspect the utmost limit, you want the B+E license. There are many edges of the driving training at Dhoot Driving School in Catford, London. All our trainers are approved and registered with the driving agency and they are also multi lingual. Even the study books and training instructions are gettable in multiple languages and then you will regularly follow the directions in your most well liked language. 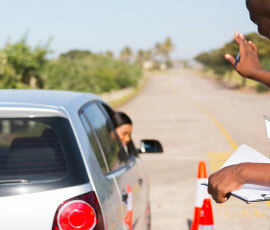 Secondly, we provide complete support and steering once it involves applying for the driver's license professionally. There’s some paper works that are concerned with the provision of the driver's license. We are going to assist you in filling up the forms similar to the medical forms and additionally the tentative claim forms. We send the finished forms to the concerned authorities at DVLA. Since driving is not exclusively regarding the wise lessons, it's in addition regarding the enduring of the traffic rules for the protection of the people on the road. Additionally our course materials are the smart combination of every theory and practical thus you get to seek out the foremost effective of driving skills and techniques from our trainers. It’s in addition worth mentioning that the training vehicles that we use at the Dhoot Driving School of Catford, London are all state of the art and are equipped with twin access controls. Thus there is fully no chance of any accidents or mishaps while you are in the middle of training. There are some special services once it involves the various training programs in driving. As associate example, you will avail the pass protection and additionally the PCV pass protection services along with the refresher training courses. These specialized services in driving training ensure that you are allowed to reappear on the driving tests if and once you fail at the first strive. You’ll in addition avail the refund of the money simply just in case you are not meeting the chosen category of training from us. There are many different services that are gettable from us and if you want to know these things regarding this information in details, contact with Dhoot Driving School Catford, London.